If you find that you are having trouble uploading any of your images, please feel free to email us the photos with a short description at sales@woodstockpower.com. The short description will allow us to match your email with your submission. Thank you! Woodstock Power is always in the market for reliable used industrial generators to serve the power generation needs of customers from Pennsylvania to California and all points in between. We purchase functioning used natural gas, diesel, portable and three-phase generators produced by some of the top manufacturers in the industry. We’re interested in buying any generators ranging from 35kW to 2500kW. When you sell used natural gas or diesel generators to us, you’re assured of getting maximum value your equipment. In fact, we pay more for used industrial generators than just about anyone else in our industry. We believe that our willingness to make fair, competitive offers is the primary reason why so many of our customers sell their used equipment to us on a repeat basis. It’s also why we have been able to maintain a good reputation among our customers and other industry partners. What’s more, we pay the full price for equipment at the time of the transaction – you never have to worry about late payments or deadbeat buyers who fail to meet their obligations. Whether you need to sell used portable electric, natural gas or diesel or generators or any other type of power equipment, you will find that Woodstock Power makes the entire process easy and hassle-free. The easiest and most convenient way is to send us product images and other information via the online form found above. We will get back to you as quickly as possible with a competitive quote. You can also give us a call at 610-658-3242 to discuss your generator with one of our friendly sales representatives. To make selling your equipment even easier, we will send one of our own trucks to your facility to pick up your generator. This eliminates the time and effort involved with sending us your generator and helps you avoid those exorbitant shipping costs. The entire transaction, including the issuing of payment and picking up your generator, can be completed in no more than three days. Woodstock Power is committed to providing the best possible service to equipment sellers. 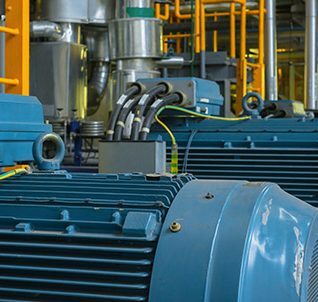 In addition to purchasing individual generators, we can help with larger projects such as decommissioning data centers and gutting large industrial facilities. Our extensive nationwide network of partners throughout the United States enables us to provide these services regardless of where your facility is located. Woodstock Power is a Philadelphia-area company that makes customer service a top priority. Whether you are looking to buy or sell used generators, our capable staff is available to assist you on a 24/7 basis. Contact us today to learn more about the many advantage of selling your used power generators to Woodstock Power! Please complete this form and we will be in touch with you! Our team of professionals can offer on-site generator service around the country and we can assist you with anything you need, for as long as you own your purchase. We pay top dollar for EPA Tier 2, Tier 3, and Tier 4 generators.